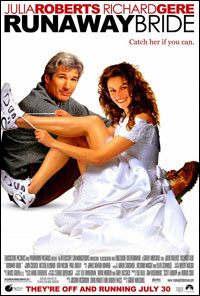 This month’s Food ‘n Flix feature film is Runaway Bride (1999). I love the opening segment. I couldn’t help but love the film and this was just ten minutes in. The movie with its girl meets boy, girl runs from boy, girl meets boy, girl runs from boy, girl meets boy, girl runs from boy motif was entertaining. 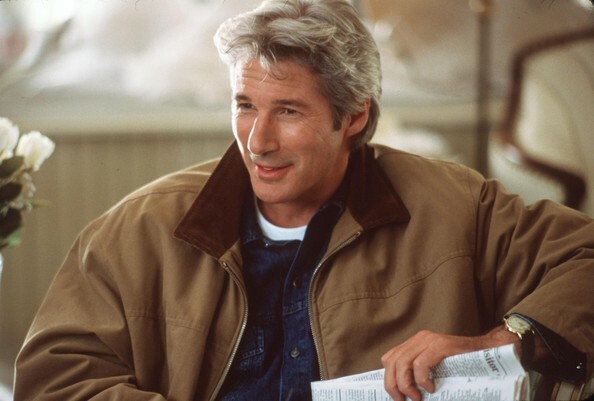 And, did I mention the whole Richard Gere angle? Surprisingly, there was a mighty lot of food mentioned in the film. Here’s my list. For me, it had to be eggs. Maggie can’t commit to a man or how she likes here eggs. I decided to do a riff on Father Brian’s scrambled eggs. This recipe can be used for a quick breakfast or a more elegant brunch. 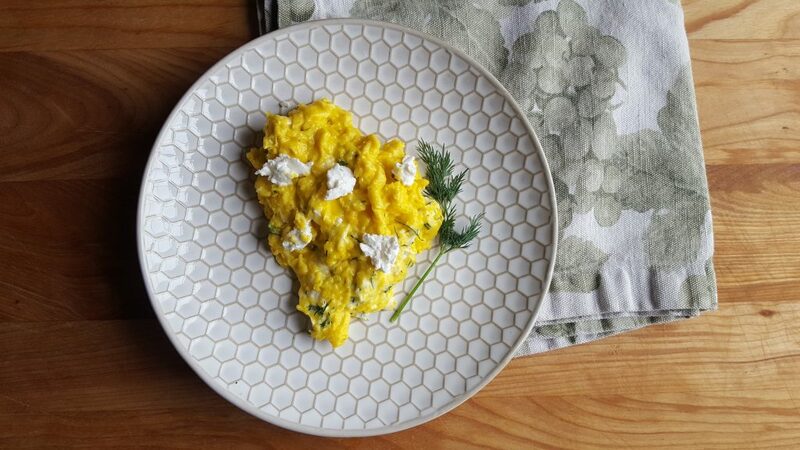 The goat cheese and dill give plain scrambled eggs just the right kick. Have all ingredients prepared and ready to go! On medium-high heat, melt butter in a non-stick skillet until it starts to bubble. In a small mixing bowl, beat eggs and half and half. Season with salt and pepper. As soon as butter starts to bubble (do not brown it), turn the heat to low and add eggs. Cook and stir over low heat until eggs are almost set but still very creamy. When eggs are almost set, turn off heat and stir in crumbled goat cheese and dill. Garnish with more dill and serve. To complete this brunch dish, serve with fruit and Blushing Bride Mimosas (and maybe some Yeats). These are very cream eggs and don’t you love the color? I get my eggs from a friend and her free-range chickens. I made these eggs for a Sunday morning breakfast but I waited until the afternoon for the mimosas. 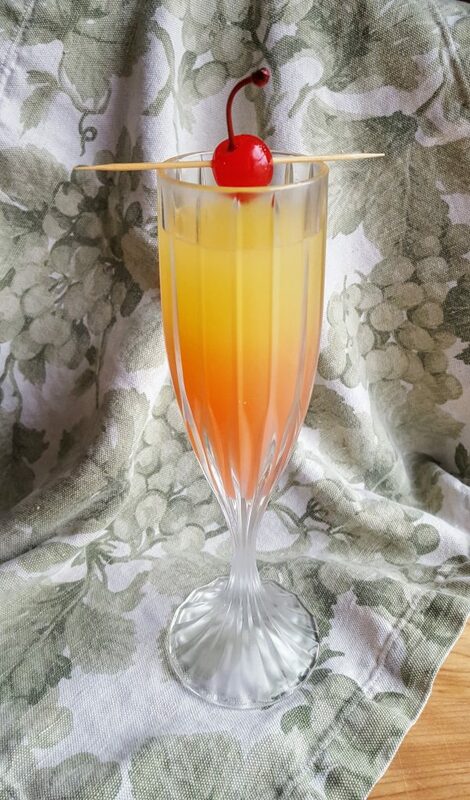 Here’s a more colorful and tropical mimosa for your next brunch. Make sure the juices and Champagne are well chilled. Also chill champagne flutes. In a small pitcher or carafe, stir together the OJ and pineapple juice. Pour equal parts juice mixture and Champagne into chilled flutes. Top off with 1/2 T. grenadine. 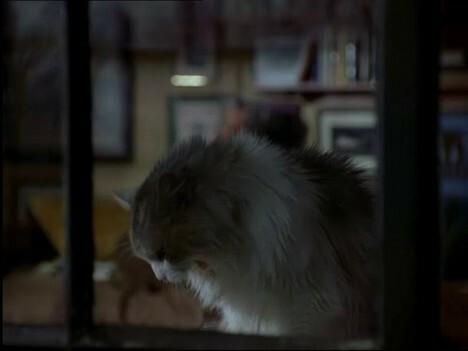 Did I fail to mention that Richard Gere stars in this film? He dresses up nicely, doesn’t he? I love that Ike is seen in another couple of convertibles. I think it’s fitting for each of these characters: Jess Lujack from Breathless, Julian from American Gigolo, and finally Ike from this film. 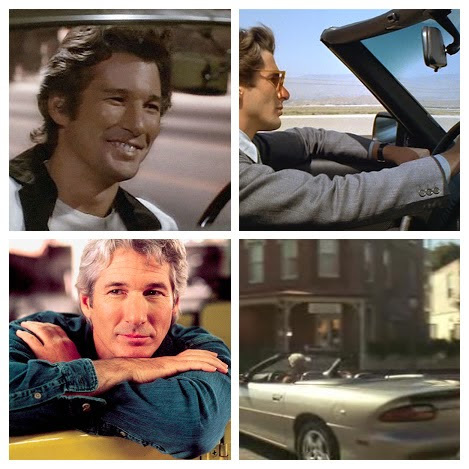 From top left, clockwise: Breathless, American Gigolo, arriving in Hale, sitting in a 1973 VW Thing in Gill’s garage. This month’s film is hosted by Fix Me a Little Lunch. You can check out the announcement post here. Food ‘n Flix is a creative bunch that finds food inspiration from many different film genres, from this chick flick to foreign films to dramas and even horror films. Membership is open to any film-fan-foodie. (For details, click here.) Next month we go animated with Coco, hosted by Culinary Adventures with Camilla. 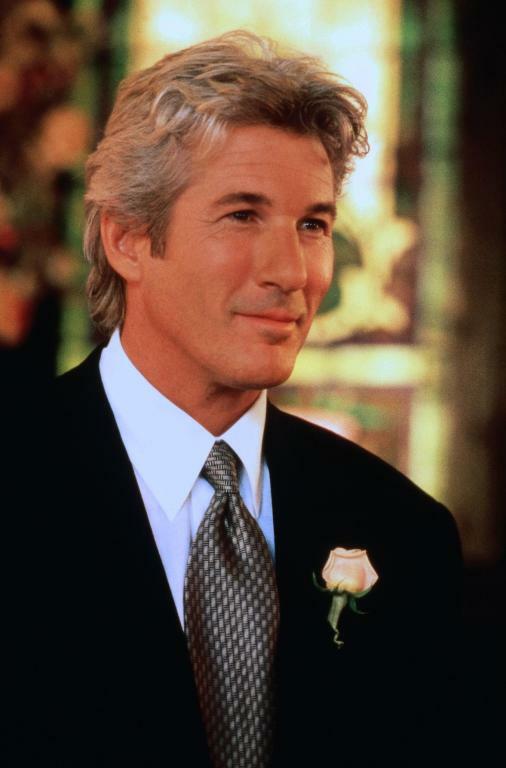 Richard Gere is indeed quite a dish but….he’s no Gerard Butler, LOL. So we each have our movie boyfriends 🙂 I love, love love that mimosa! What a great combo, the eggs and mimosa. I saw this movie ages ago and liked it. Ha! This so made me laugh, Tina. Not a fan of Gere, but do love that scrambled egg with goat cheese! Must make some soon. I loved that movie!!! I’d forgotten about the egg line. That was such a good one. Never enough Julia… or eggs! I loved the subtle (and not so subtle) humor in this film. “Go check those crabs, Bob!” Ha! Now I need to go back and rewatch the movie. I forgot there were so many references to food. 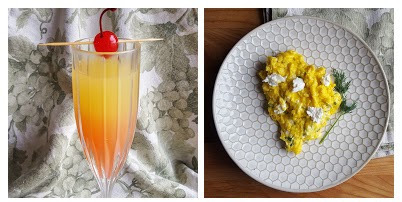 Love the scrambled eggs with goat cheese and those mimosa…YUM! It’s a cute movie, MJ. What a fun post. You definitely picked up on more food that I did! And I’m hosting Coco. I hope you’ll join me. Whoops! Sorry about the misinformation. YES, I am planning on watching Coco this week and no later than this weekend! I cannot wait!!!!! Thanks for the quick edit! Can’t wait to see what you make. That is a gorgeous mimosa! So perfect for the blushing (or terrified) bride in the movie! Your mimosa looks delicious, thanks for sharing.